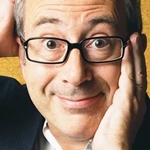 The Nine Network launched its 2011 season with the tagline ‘The Home Of Laughter’ – but, after the premiere of its signature new show Ben Elton: Live From Planet Earth, the only ones laughing were the rival networks. Viewers on the other hand didn’t find much to laugh about in the show’s debut episode, even prompting an apology from the show’s star and writer Ben Elton. Like with Warnie (below), Ben Elton: Live From Planet Earth was only commissioned for a short series but the poor audience response saw Nine pull the plug before its handful of episodes were completed. In signing up former cricketer Shane Warne as a talk-show host, the Nine Network played it safe by only commissioning five episodes of his new show, Warnie. However, following some shaky ratings results, Nine couldn’t even commit to showing all five episodes and dumped the show just prior to the fifth and final episode going to air. Nine said the last-minute change was due to Australia losing the Ashes series. The link between these two events was never really clarified. Despite its heritage, with decades of coverage of Australian Rules football behind it, the Seven Network has a patchy record in presenting football-themed variety shows, while Nine’s The Footy Show has been a network stalwart for almost two decades. 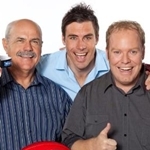 Previous Seven programs Four Quarters and Live And Kicking had short lives and The Bounce, fronted by comedian and former Rove sidekick Peter Helliar, failed to lift Seven’s record in the genre — and was axed after only a few weeks on-air. Even though Seven claimed this format was devised as far back as 2005, with two celebrity teams pitted against each other to answer questions on TV, the network’s The White Room, when it launched in 2010, was dismissed by viewers as a pale copy of current hit shows Spicks And Specks and Talkin’ ‘Bout Your Generation, which also place teams of celebrities to battle on questions of popular culture. Seven could also be reminded of a similar show, You May Be Right, that also failed to click with viewers. The White Room lasted two weeks and became one of the first casualties in the 2010 ratings war. Nine needed something to boost its flagging daytime ratings after losing veteran US soap The Young And The Restless and talk-show Dr Phil. The answer, so they thought, was to take the popular US program The View, where a panel of female personalities discuss the issues of the day, and adapt it for Australian audiences. But while The View had a cast line-up of well-known identities, The Catch-Up relied on a panel of lesser-known personalities and one Libbi Gorr who had been famous a decade earlier as comic alter-ego Elle McFeast. The Catch-Up and prime-time show The Nation (see The Mick Molloy Show, below) ended up epitomising a year of sagging morale and ratings for the once-dominant Nine Network. Rene’s Getting Married was to be a reality-TV twist on the everyday boy-meets-girl scenario — but alarm bells must surely have rung when not even the show’s potential bride “Rene” managed to make it to the first episode, deciding that she did not need a national television audience to help her find true love. A last minute change sees “Yasmin” take on the role. Ten’s expectations that Yasmin’s Getting Married would repeat the same ratings success as The Biggest Loser and Big Brother in the important 7.00pm timeslot were very quickly dashed after the first episode — and it only continued downward from then on. After only four episodes — of the planned 40 — Ten pulled the series off the air and Yasmin’s ambition of becoming a reality-TV bride is unfulfilled. The Seven Network attempted to emulate the popular American Saturday Night Live format to fill the gap left by the demise of the Sunday night movie. However, despite the cast list including some experienced comic performers, it was almost a case of “blink and you missed it” as Let Loose Live was a ratings disaster and only lasted two weeks. It was a brave ABC that decided to axe its traditional 7pm state-based news services, along with the famous “Majestic Fanfare” theme that ABC News was famous for, in favour of a nationally-formatted one-hour news and current affairs presentation starting at 6.30pm — complete with “commercial” breaks to promote the broadcaster’s other various offerings. The National was an expensive taxpayer-funded gamble that sent even ABC’s most die-hard devotees to other channels. The format lasted less than twelve months before a much sorrier ABC reverted back to its former state-based 7pm news and launched a new current affairs program, The 7.30 Report, in each state. Sensing that they needed to take an edgier, younger approach to entertainment into the 21st century, the Nine Network axed its long running Hey Hey It’s Saturday and as a potential Saturday night replacement gave former “D-Generation” member and comedy writer Mick Molloy his own program. However Nine may have had some regrets when Molloy’s opening monologue on the first episode had him seen to be urinating on the set, and the same episode featured footage of a contestant vomiting at a beer-drinking competition. The viewers appeared to be unimpressed and even though Nine took the unusual step of committing to twenty episodes without seeing a pilot, only eight went to air. Almost a decade later, Nine appeared to risk repeating history when it signed up Molloy again, this time for a new show, The Nation, which was not as controversial as Molloy’s previous venture at Nine but rated poorly and was never renewed beyond its original series run. Though probably never intended to be an ongoing series, Australia’s Naughtiest Home Video Show, hosted by Sydney radio personality Doug Mulray, possibly set the record for the shortest lived program ever on Australian TV. The program was planned to show the videos considered too risqué to be included in the family-friendly Australia’s Funniest Home Video Show. However the program failed to raise a laugh from one angry viewer — Mr Kerry Packer, owner of the Nine Network. Packer himself called the station half-way through the one-hour presentation and demanded rather bluntly that the program be taken off air — immediately — thus ending any potential hopes for a second episode or any career prospects for Mulray at the Nine Network! Arcade: Anne Semler and Syd Heylen. Ten had high hopes for their new evening soap, spending a fortune constructing a mock shopping centre in their Sydney studios and hiring the brains behind their 1970s hit Number 96, but viewers weren’t impressed with the B-grade cliffhangers and comedic adventures from within a suburban shopping mall. The series was dragged off-air after six weeks and became the most infamous TV flop in Australian TV history. American TV producer Bob Shanks was given the task of boosting Ten’s ailing fortunes. He saw game shows as the key to success. One of them was this prime time version of Ten’s popular children’s show Double Dare. The audience didn’t take well to adult contestants being ‘slimed’ and the show was taken off after four weeks. Despite the show’s embarrassing failure, it did put the relatively unknown host Larry Emdur in the spotlight and he’s been rarely off-screen ever since. Ten followed up from 1980’s horrendous Arcade with yet another soap disaster. Crawford Productions, who perhaps should have known better, presented Ten with Holiday Island. The idea of setting a series on a tropical holiday resort seemed a good one, but then instead of filming it in sunny Queensland, it was decided to construct a mock holiday resort on the grounds of Ten’s Melbourne studios… during winter. Some poor casting decisions, and attempts to make chilly Melbourne look tropical, were ingredients for disaster. Holiday Island lasted barely six months. At least Ten can since take consolation in the fact that the outdoor Holiday Island set has since been far more successful as Lassiter’s Complex in Neighbours. 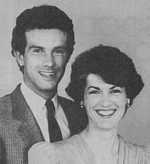 The Nine Network during most of the 1980s and early 1990s had struggled to find a successful drama series. The numerous attempts included Starting Out, Taurus Rising, Possession, Prime Time, Waterloo Station, Chances and Family And Friends. But in 1993, Nine surpassed all those with Paradise Beach. An early evening series intended to do for Nine what Neighbours and Home And Away had done for Ten and Seven. The Gold Coast setting was promising but the audience wasn’t impressed. The only saving grace was that series had found international interest but even that wasn’t enough to save the series in the end. In 1980, Ten proved that a drama series set in a shopping centre would not work. In 1993, Seven proved exactly the same rule applies to comedy. Seven attempted to take the format of Ten’s successful Comedy Company but instead moving the focus from suburban life to the shopping mall. The Comedy Sale failed to register any laughs and was gone after three weeks. Ten wanted to add a second soap to complement the long-running Neighbours. They decided to go with Echo Point, yet another series in the sun-and-surf genre but tried to add some suspense to attract viewer interest. The problem was that Ten scheduled it up against Seven’s popular Home And Away. Two timeslot changes, and recruiting names like Rowena Wallace and Kate Fischer, failed to trigger any interest. What about Channel Ten’s “The Shire” ? Hi Steve. This page needs an update. I think a lot of Channel Ten product from 2012 will qualify for inclusion! What about Channel Nine’s “Million Dollar Drop” which ran for a short while a few years ago ? There was another short-lived show called “Hotel” produced, I think, for the Australian Television Network(ATN, HSV, etc). It was made in 1968/69 and used the Paul Mauriat Orchestra’s hit instrumental record, “Love Is Blue” as its theme tune. Only a handful of episodes were made, and likely fewer even got to air. Hotel actually ran for about six months. Approximately 130 episodes were produced. It(“Hotel”) may have run for 6 months on the metropolitan stations but I think NBN cut it short in Newcastle. I wouldn’t say poor ratings caused its axing as, long before aggregation, when the regional commercial station only had the ABC as its opposition, ratings were given lip-service but, as there wasn’t any REAL competition, ratings didn’t seem to matter as much. Wouldn’t surprise me if any other regional station cut the series short. I think your actually talking about the serial “Motel” not Hotel. I remember it ! Brisbane before 1976 I watched it at neighbours’ house. “We’re all going to the yellow house…” Tune still in my head. Would love someone to put it on YouTube so I could show my kids. Does anyone remember a channel 9 attempt at ‘laugh-in’ type humour called ‘Ready When You Are C.B.’ ?? It was terribly uncomfortable to watch. Even as a kid I realised it was bad. I can’t say I’ve ever heard of that one. Any idea as to the year it was made? Was it Australian or imported? Any idea who was in it? “Ready when you are C.B.” was a VERY short lived challenger to Ten’s all-conquering-at-the-time “Number 96”. It was locally made and I think it was a Nine product, and whilst the title is the oft quoted line regarding Hollywood’s Cecil B DeMille, the CB in this case was (again, I think) a local producer Chris Brown – but I couldn’t swear to it. Something in the back of my mind recalls the fellow was actually retrieved from working in the US to put the show together. It was a skit style show. And dreadful. Many thanks for your comment, which has jogged my memory somewhat and I think I have some press coverage about that very program somewhere. I’ll see if I can track it down. If you could add a person’s name to the “Hall Of Shame”, then I nominate Malcolm Turnbull for his despicable treatment of ABC and SBS(funding cuts) and cutting community TV off the free-to-air channels at the end of 2015. Turnbull, go stand in the corner with your dunce’s cap on tight! Back in early 2000’s I think it was channel seven put this show on during non ratings period. It was maybe an hour long and took over home and aways time slot. Can’t remember the name of the show but it had something to do with a murder or a missing person in a small town and finding the culprit. Does anyone know this shows name? What about “Shafted” with Red Symmons? A true dud if ever there was one! The Private World of Miss Prim with Dawn Lake? I have to say I’ve not heard of that one. I must do some research! Channel 9’s ‘Canal Road’. Terrible show that seemed to focus more on the love lives of characters that no one would care about anyway. Sometimes referred to as ‘Carnal Road’.